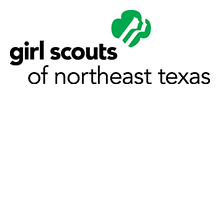 Volunteer your time to help girls thrive in Girl Scouts! Girl Scouts takes the potential of girls, combines it with robust skill-building programming, and adds caring adult mentors and strong female role models. You can help make this happen by signing up to volunteer your time at one of the programs below. More information about the event including directions and parking will be provided the week before your sign up. Thanks for impacting girls by signing up to volunteer! Volunteers will assist with younger girl programming about the earth and sky. Duties will be assigned day-of and may include assisting with check-in and crowd control or acting as a group leader or activity facilitator. Volunteers will assist with older girl programming. Duties will be assigned day-of and may include assisting with check-in and crowd control or acting as an assistant facilitator. Volunteers will assist with girl programming. Duties will be assigned day-of and may include greeting, assisting with check-in, and crowd control.